When should you hire a Video production company vs videographer? It’s a good question. It took 32 years to rebuild this cathedral and in this episode I’m going to tell you about one of the men who worked on it. In particular, I want to share his response to a simple question that can help you decide who you should hire for your video. Thanks for joining me for Video Answers, the resource with video production help for your business. In 1666 a massive fire leveled the city of London. 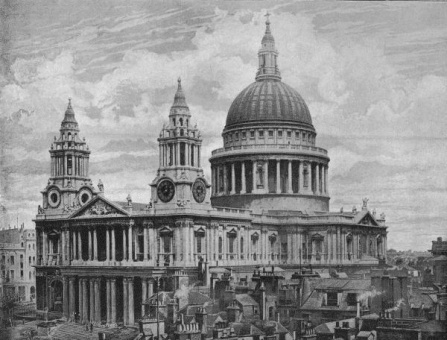 As a result of that fire, architect Sir Christopher Wren was commissioned to rebuild St. Paul’s Cathedral. During the rebuilding, Sir Christopher would walk around the job site to monitor progress. It’s said that one day he became intrigued watching 3 bricklayers at work, so intrigued that he stopped to ask them a simple question, “What are you doing?”. The first answered, “I’m working”. The second, “I’m building a wall”. But the third replied, “I’m building a cathedral to The Almighty”. It’s that perspective of the third bricklayer that provides a powerful context for you and your video. The truth is, you can either hire a bricklayer or commission a cathedral. There’s a bewildering amount of video production options out there. Hire someone who understands that part of their purpose is to help you evaluate those options so you can make the right choices. A video is an investment of time, energy and resources. Hire someone whose approach supports that return on investment by helping you communicate the right message to the right audience. You’ve got a business to run, so hire someone whose understands a part of their role to help you navigate the process so you can focus on your business. With video production you basically have 2 choices, you can hire a videographer or a video producer. If what you need is someone to document an event, then a videographer is probably a good choice. But if you need something more. If you need strategy, messaging, and outcomes, you should hire a video producer. Who you should hire depends on what you want to accomplish. Do we need a brick wall or a cathedral? You’ll find all of that and more in Unlocking Your Video’s Potential at ComprehensiveMedia.com/Unlock. How much money would you like to save on your next video? 10%? 20%? How about 30%? Next time I’m going to share an amazingly simple principle that can save 33%, or more on your video. That’s next time on Video Answers.